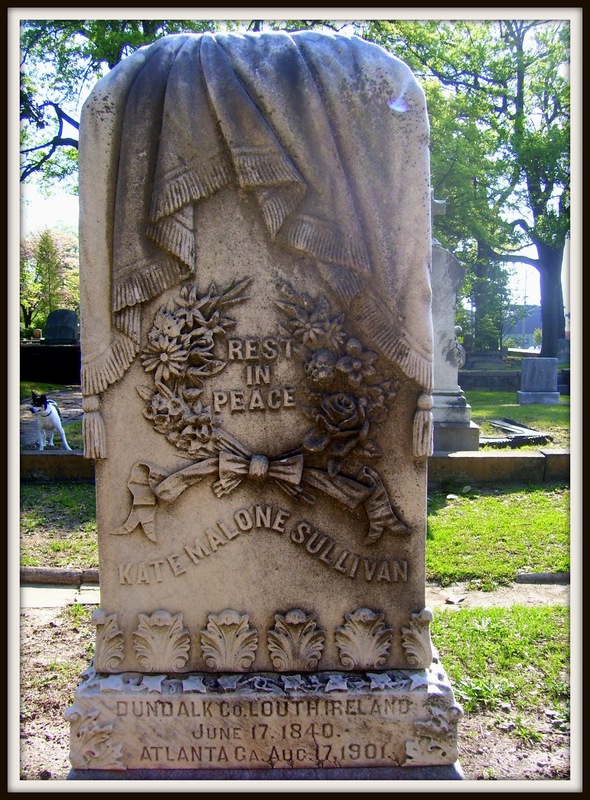 Kate Malone Sullivan rests at Oakland Cemetery in Atlanta, Georgia. 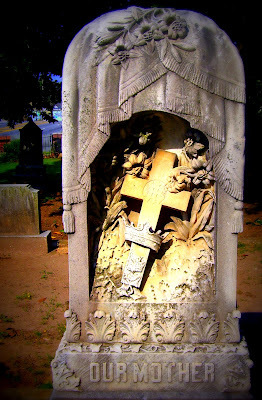 Her tombstone is one of the most beautiful I have ever seen. My breath was stolen when I first laid eyes on it. The work of art by Crouch M. & G. Co. of Atlanta includes a recessed sculpture of a cross in crown surrounded by Madonna (Easter) lilies and ivy. Each of these items carry much meaning. The cross in crown is a symbol of victory and Christianity. The lilies represent purity, and the ivy can mean immortality, fidelity, and undying affection. 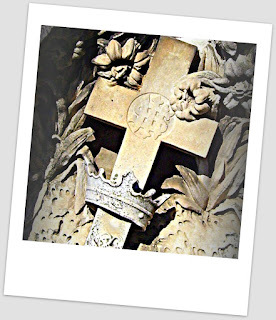 Kate's stone is draped and also bears a flowering laurel wreath with her epitaph.